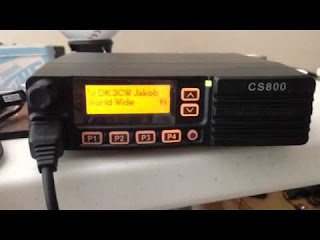 This firmware is used on the latest hardware version of the CS800D (Version 3). This is not very informative. 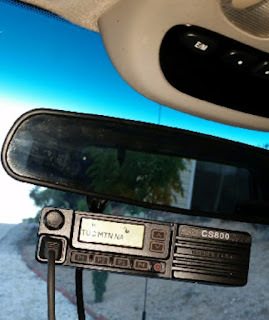 Does it fix the dead silent radio issue while a cheap md380 on a rubber duckie works great? Does it fix a scan bug? 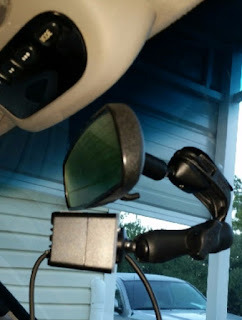 Possibly one of the best installs we have seen with the Connect Systems CS800 remote setup. I used a regular cat 5 patch Ethernet cable to extend the face plate. The cable is hidden under the console and so only the mic cable shows and is visable. The console cover slides over to hide the face plate when closed. 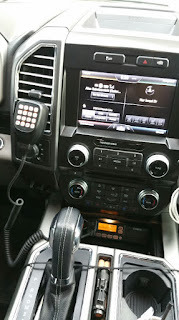 It is possible to put the mic in the side console pocket also to hide the unit. Any questions by others, my contact information is available below. You'll see the pictures of my mobile installation. I need to do a firware upgrade on my friends CS800. He has not had any update since he got the radio. So he'll be going from original or near original firmware/cpu to the newest. Is there a specific order I need to follow like CPU first then Firmware? I am a bit confused on the process. The first thing to check is what versions of firmware are currently installed in the main radio and the front panel. This is best done via the front panel display and the menu system. 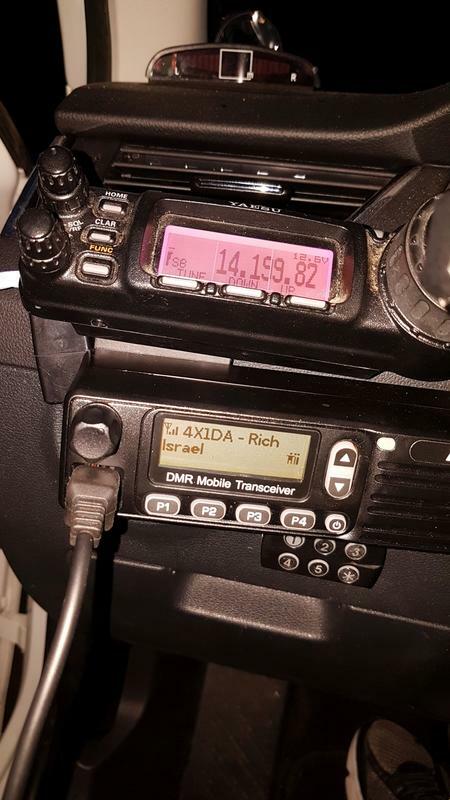 You need to go through the Main Menu to Utilities to Radio Info, then find the Firmware Version and Front Panel version. The complexity of the update will depend on where you are starting from. have a very good working codeplug with all of Ontario with all world contacts dated back a couple of weeks. And yet a few new contacts come up as number only...due to fast growth of new users. I spent a lot of time re-creating this code plug. CS800 plastic housing to the mounting bracket - remote mount kit with my radio. Where can I buy the part that attaches to the backing plate? We will post something to our website today that shows how to put in the diode. As was mentioned earlier, it does not matter which way you put in the diode. You could also mount the diode external to the CS800 or across the speaker. The problem with this is you might forget in a few years and get another speaker and forget about the diode and burn out the radio after the warranty has expired. As Jerry mentioned, we have a solution for the external speaker problem and it is being implemented in all new radios being shipped and also those being manufactured. For those who already have a CS800, we will either add the diode for you or send the diode to you for installation. If you want to see what is involved, here is a step by step with photos (sorry, they are not the best pics). I will upload this to the files section also. To set the backlight on all the time on the CS800. Try this! Open your software to program the radio. Not tested this for any capabilities, so please use it with caution. A bug was found late yesterday after firmware version S2.00.04_20150916 was posted. 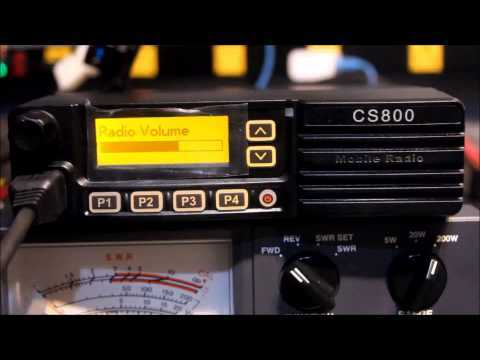 While the firmware enables the Monitor function on the CS800, it unfortunately causes the display to go blank for talk group and contact information. A quick repair was sent from the manufacturer, but there are some items to be aware of. The repair was released with the same version number but a different date. Look for the release under September 18 on our website as firmware S2.00.04_20150918. This fixes the display problem, but unfortunately disables the Monitor function to do so. This is temporary, and a new release that handles both will come out as soon as possible. Do note that keypad programming via the microphone is available in this version. We apologize in advance for the confusion. CSI Team, It would be very helpful if you could describe what each Firmware release actually does. It would also help if you gave more detailed install instructions. We seem to be "intuit'ing our way through releases. Maybe assign to someone who isn't so close to the situation and watch them work through your guidance. CS800 The Programming Cable Used For? COPYRIGHT © 2018 VE3WZW.net Andre. Picture Window theme. Theme images by compassandcamera. Powered by Blogger.